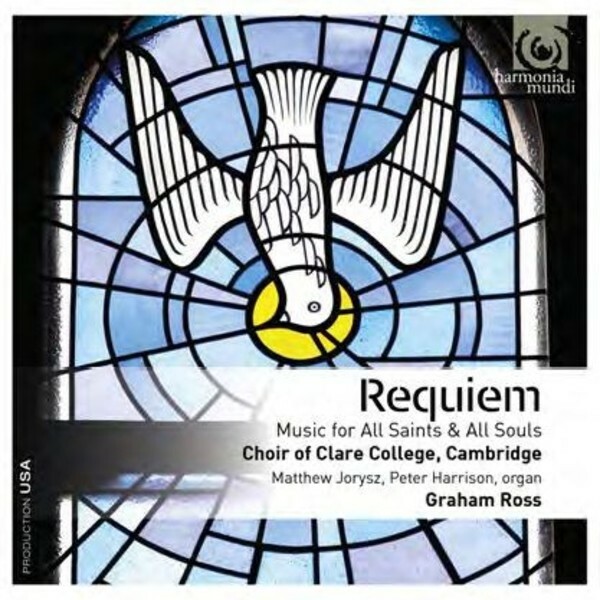 Graham Ross directs the Choir of Clare College, Cambridge in a programme of English and Spanish music for the Feasts of All Saints and All Souls, culminating in Tom�s Luis de Victoria�s six-part 1605 'Requiem'. It has been seen by many as a Requiem for an Age - the end of Spain's golden century, the end of Renaissance music and, indeed, the end of Victoria's own life - it was his last published work before his death in 1611. Like its predecessors in this Clare College, Cambridge series based on the major festivals in the Anglican calendar, this volume is produced, engineered and edited by John Rutter and is accompanied by an excellent booklet note by Graham Ross.